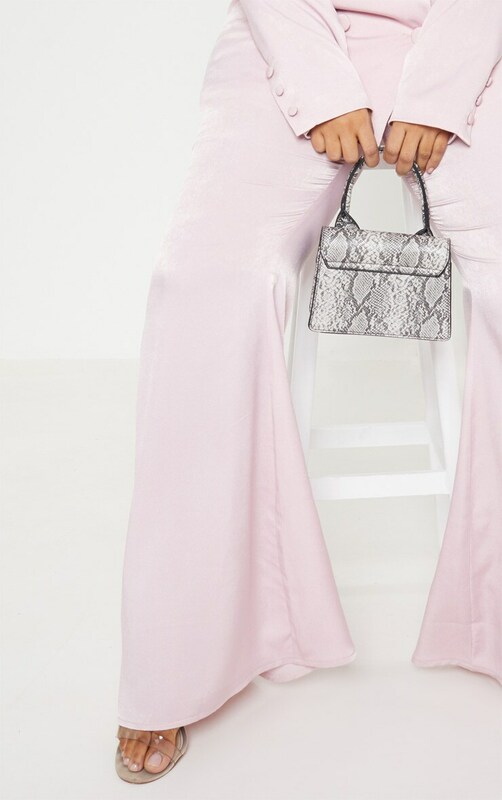 Take your party look to the next level with these pants. 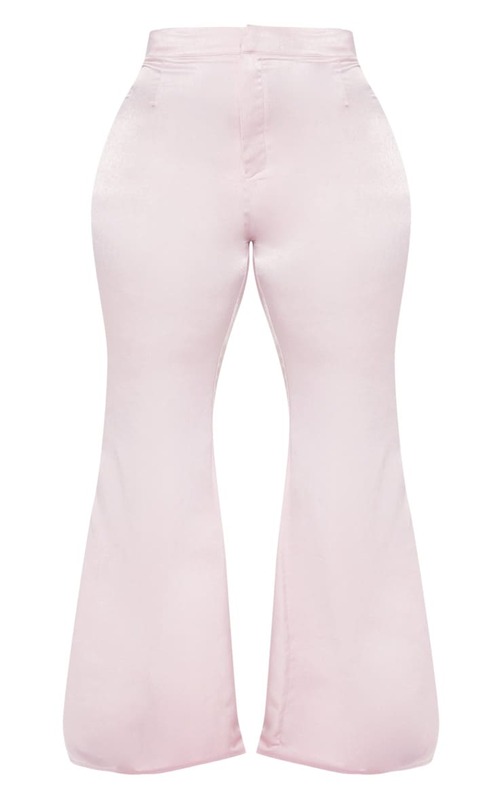 Featuring a light pink satin material with a hook fastening and a flared fit. Team these with the matching blazer and sky-high heels to complete the look.